Smart Sense is a politically and environmentally minded blog detailing the latest news, trends, and discussions. Two summers ago, I made a step toward the dark side by trading in my bicycle for a shiny new SUV. I couldn’t have timed the switch more poorly. This was the first summer of record setting gas prices, when the pump price first climbed over $3.00 a gallon. Fair weather activists went to work that summer, sending out chain letters over email and myspace demanding a boycott of gasoline. Let’s boycott all gas stations for a day! Or better yet, let’s just boycott Exxon! That’ll show ’em! After reading these, I (and anyone who had taken Econ 101) immediately were hit with terrible headaches. Why? These consumer gas schemes pandered more toward emotions than to any rational economics theory. Now two years later, a similar situation is occurring. However, this headache isn’t being spread by zealous internet users. This fire is being fanned by two of our own presidential candidates. Their idea is not a boycott, but rather a “gas holiday” where the federal gas tax is erased for the summer driving months. Under such a scheme, consumers would see little change in gas prices this summer. Without taxes of course, our own Federal government’s revenue would shrink. And the real winners in the game would be….you guessed it….the big oil companies. Paul Krugman, another NYT columnist points out in a post that any attempt to quell gas prices for the summer driving season is too little, too late. The petro we’ll use this summer has already been extracted and refined. No matter what politicians will promise for the summer, there’s simply not much to be done. My car gets 14 mpg on a good day and public transit isn’t an option for my commute. I’m sitting front and center in the cross hairs of high gas prices, and I would be ecstatic if there were a plan that could help me out. Unfortunately, there doesn’t seem to be much of a rationale consensus from our leaders. 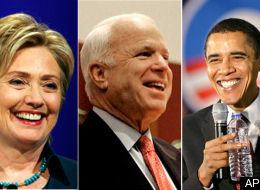 Of the three candidates, only Obama has voiced his disapproval of a gas holiday. Both McCain and Clinton have publicly favored this gas-tax holiday. It’s time for our politicians to take a proactive and logical approach to our energy policy. All the research, rationale, and logic point to the same conclusion. It’s been close to 30 years since President Jimmy Carter proclaimed we would stop being dependent on foreign oil and that we would develop oil alternatives. Perhaps its time we began working toward this long-time goal. Like many political science and international studies students, I was first introduced to Nobel Prize winning economist Joseph Stiglitz while discussing globalization. His 2002 book “Globalisation and its Discontents” was the tastiest of textbooks for the aspiring politico and undeclared academic. The critical assessment of globalization Stiglitz put forth cost him a job at the World Bank, but helped stimulate the minds of many who grew up in the midst of the internet and NAFTA. In 2005, the Congressional Budget Office estimated the cost of the Iraq war at $500bn. Stiglitz and the book’s co-author, Linda Bilmes, found this number to be surprisingly low. Discrepancies began to unveil themselves. For instance, the listed cost of the 2007 troop surge only accounted for combat troops. No funds were budgeted for the additional support troops needed as well. After years of data mining and number crunching, they’ve found the cost to be between 2 and 3 trillion dollars. What’s more surprising than an unannounced 3 trillion dollar bill? Stiglitz links the cost of the war to US credit woes, economic recession, dependency on foreign nations, and even the failure of foreign aid in Africa. The war cost has been paid for not by raising taxes, but primarily through borrowed money. This has hidden the true cost of the war from Americans – most of whom have been spending their savings as if they were lottery winnings. We were, as NYT columnist Paul Krugman calls it, “partying like it was 1929”. Once the lights came back on and the party ended, an economic recession hit. Banks called for a bailout. Problem was, the US didn’t have the money to bail out everyone. Many bailouts are being financed not by the US, but by countries in the Middle East and Asia. Other nations rescued Citibank and Meryl Lynch when they called for help. These companies now depend – as does our economy – on forces other than our own. Outside of the actual cost, even the war itself has had economic effects. The instability in the Iraq region has sent oil prices souring to new heights. At the start of the war, oil was $25 a barrel. Now it’s over $100. Developing nations are feeling these price hikes like never before. African nations have been amongst the more dire strugglers. Stiglitz estimates that years of foreign aid have been virtually erased simply due to high oil prices. It appears it is our economy – and not the terrorists – that now sit in the cross hairs. I am a progressive democrat, and one of your biggest fans. I vote in every election. I even read my voter’s pamphlet cover to cover. On top of all that, I’m also an enthusiastic environmentalist. I think about my carbon footprint, and I’ve made big changes in my daily habits to cut down on my own pollution. When I first heard that a carbon tax bill was introduced in the House, I was ecstatic. I think the idea of a carbon tax is great! Pollution hurts our environment and our society, and it’s about time that those costs were taken into account. I especially like the idea of using that money to undo the harm carbon-output has had on our planet. But after thoroughly reading through HR 2420, my excitement has dissolved into worry. You see, I enjoy all the diverse outdoor activities for which our northwest is famous. Snowboarding Mt. Baker, rock climbing in North Bend, and camping in the Olympics are just a few of the activities I enjoy on the weekends. My mid-sized SUV allows me to safely drive through snowy mountain passes, carry my whitewater raft to a boat launch, or haul my camping gear into the backcountry for some time away from the city. 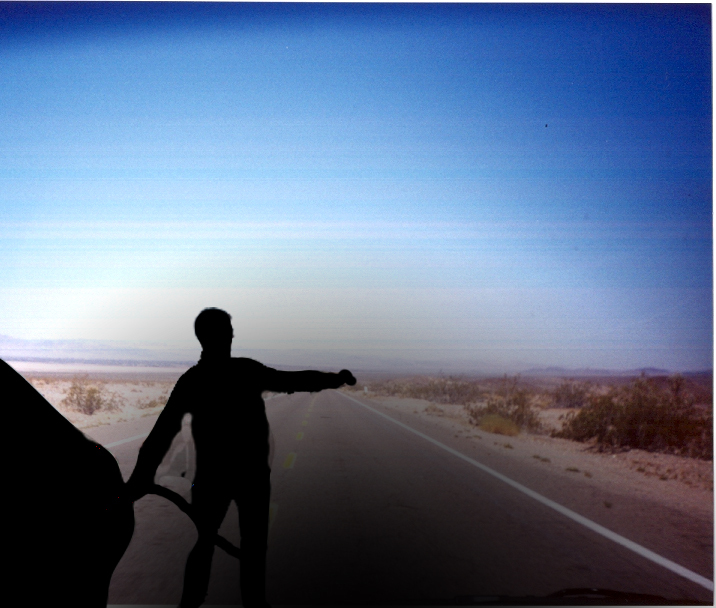 When I bought my car, I chose an SUV because it allowed me to pursue my passions. For me, this carbon tax is an ultimatum. “If you want to enjoy your active lifestyle, you’re going to have to pay a lot for it!” When did my love for rock climbing and snowboarding the northwest become part of the problem? I want to drive a car with efficient gas mileage. But today, an SUV that gets 30mpg can cost two to three times as much as a standard gas powered model. I simply can’t afford one. Trading in for a smaller car isn’t a good answer either. My passions would have to be sacrificed for a Honda Civic that cannot handle icy conditions or rough terrain. Before our state institutes a heavy-handed cost, consumers need to have a chance to reasonably change their habits. Give us an opportunity to buy an efficient car and we will! Give us public transit that works efficiently, and we’ll use it! Help us be able to afford to live environmentally-friendly, and we’ll do it! Energy habits will happily be changed in our state if there is a positive incentive to do so. A carbon-tax is the right step, but it shouldn’t be the first step. There are many middle-class environmentalists (like me!) that want to help our planet. But backing your supporters into a corner without a lifeline isn’t the answer. Don’t pass a carbon tax until we’ve had a chance to truly afford an alternative.